With a stay at ZEN Rooms Setiabudi Lembang in Bandung (Setiabudi), you'll be within a 15-minute drive of Amazing Art World and Rumah Mode Factory Outlet. 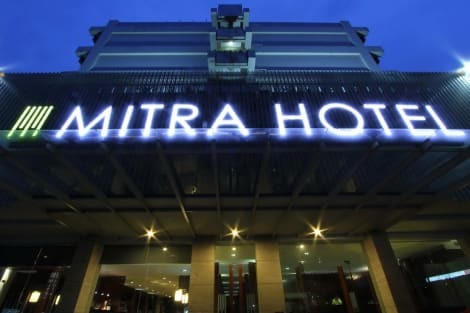 This hotel is 8.2 mi (13.3 km) from Trans Studio Bandung and 3 mi (4.8 km) from Jalan Cihampelas. Complimentary wireless Internet access is available to keep you connected. With a stay at Hotel California Bandung, you'll be centrally located in Bandung, a 1-minute drive from Jalan Cihampelas and 7 minutes from Gedung Sate. This hotel is 3.5 mi (5.7 km) from Trans Studio Bandung and 1.5 mi (2.4 km) from Bandung Institute of Technology (ITB). Make yourself at home in one of the 84 air-conditioned rooms featuring refrigerators and flat-screen televisions. Complimentary wireless Internet access keeps you connected, and cable programming is available for your entertainment. Private bathrooms with showers feature complimentary toiletries and hair dryers. Conveniences include desks and coffee/tea makers, and housekeeping is provided daily.